After a period of under-investment in technical training, community colleges and universities are now creating teaching environments that prepare their students for successful careers in today’s manufacturing workplace. Manufacturing doesn’t look today how many still imagine it: large-scale, repetitive, and unskilled. Advanced manufacturing is an industry that uses technology in both its process and its products, offers good wages, an economic base for its community, and provides employment opportunities for a variety of different skill levels and educational backgrounds. 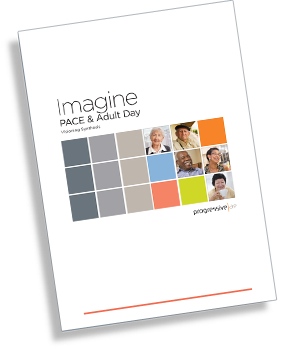 Because it engages with new technologies, advanced manufacturing is dynamic and changing. It requires a work force flexible enough to not only accommodate innovation, but to thrive in changing and sometimes uncertain industries. After a period of under-investment in technical training, community colleges and universities are now creating teaching environments that prepare their students for successful careers in today’s manufacturing workplace. What does advanced manufacturing look like for higher education facilities? 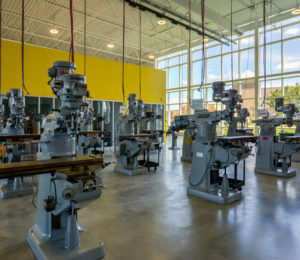 At Lake Michigan College’s Hanson Technology Center School and its primary donor and project partner, Merle Hanson, knew that to attract students, a new building needed to be an evocative response to typical assumptions about manufacturing. The transformational building expresses the possibilities and vitality of this industry, and provides a foundation for the growth of the College’s programs. The design of the Hanson Technology Center expresses the vitality of manufacturing today. Design choices for the building focused around pairing student success with the requirement that the building be a teaching tool to raise awareness of manufacturing. The project’s commitment to reinventing the campus’ and broader public’s understanding of manufacturing begins with its first impression when arriving at the campus. A continuous glass wall offers views into the building’s public and collaboration spaces. The dynamic forms of the project build towards its dramatically raised north end, emphasizing the entrance and gesturing towards the main college campus, as well as symbolically to the “future of manufacturing”. A continuous series of lab spaces are separated from the open public and circulation space by grouped classrooms and collaboration spaces. Full-height glass windows and large garage doors preserve visual transparency and allow access between each of the spaces. The public corridor can also be a place to exhibit and test projects started in the labs. Design and fabrication spaces are co-located to encourage collaboration. Spaces for making, not just manufacturing. Another strategy for innovative teaching of advanced manufacturing is to better connect design and production in the training and education of future workers. The Advanced Manufacturing Partnership (AMP) Lab is a unique partnership between West Michigan industry partners, Grand Rapids Community College and Western Michigan University (WMU). The building will inhabit the first floors of a historic masonry factory in Grand Rapids, taking advantage of its downtown location to recruit students, and promote its connection to local industry. Students will participate in a tuition free “learn and earn” model that provides a degree and guaranteed employment with a program partner. The AMP lab and Lake Michigan College share a strong focus on creating a work force that meets the needs of today’s industry, but does so by pairing skills training with classes centered on engineering and design. High-tech equipment and training spaces are displayed at street level around the building’s perimeter. 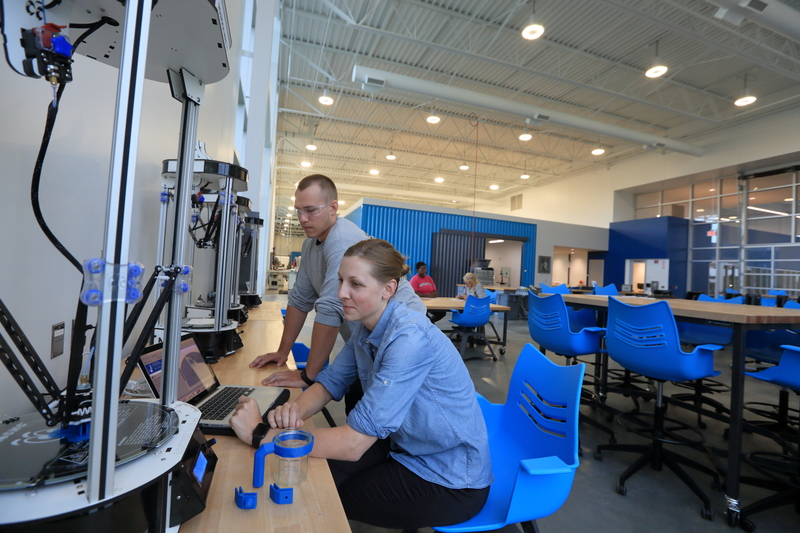 At the lab’s core, a student and community maker space is placed in an open environment that provides dynamic places to design, build, and share projects and processes. At the core of the AMP Lab are spaces for making and sharing new ideas in manufacturing. Including spaces for art and design in technical education. In the search for new ideas to support advanced manufacturing, design thinking has emerged as a way of problem solving that inspires today’s innovative businesses and manufacturers. Similarly, innovative spaces for advanced manufacturing education pair equipment with the flexible studios, collaboration areas, and gathering spaces more often found in art and architecture schools. Nationally, the Jacobs Institute at the University of California at Berkeley by Leddy Maytum Stacy Architects highlights how flexibility and collaboration can support new ways of teaching. On a very small site, this four-story building creates an interdisciplinary hub on campus for the education of engineering, design, and sustainability. 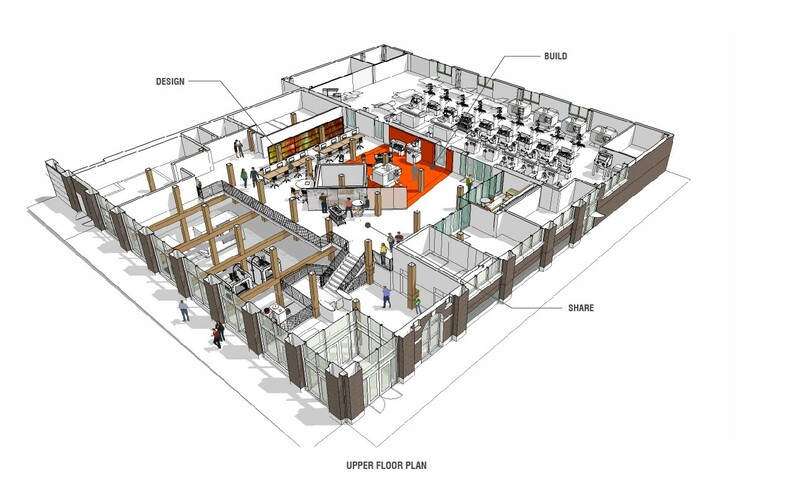 Spaces for teaching are collocated and even combined with areas to support project learning by smaller groups, all adjacent to faculty offices and common space. 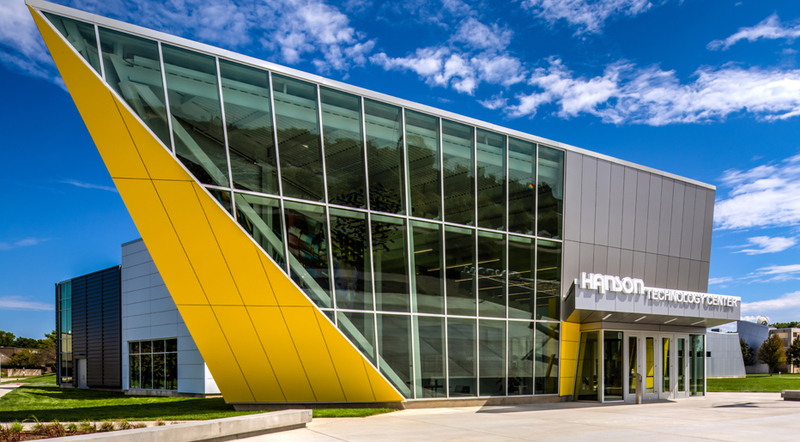 We have continued our work with WMU to explore the innovative teaching of manufacturing on their main campus through the design of their Product Design and Innovation Institute (PDI). The program will take advantage of its adjacency to the University’s art school to offer a degree that brings together art, design, engineering and business into a single inter-disciplinary program focusing on successful production and the development of an entrepreneurial spirit. Industry involvement will include some of the most important technological leaders in southwest Michigan manufacturing. At WMU’s PDI connections between disciplines and activities are created throughout the building. 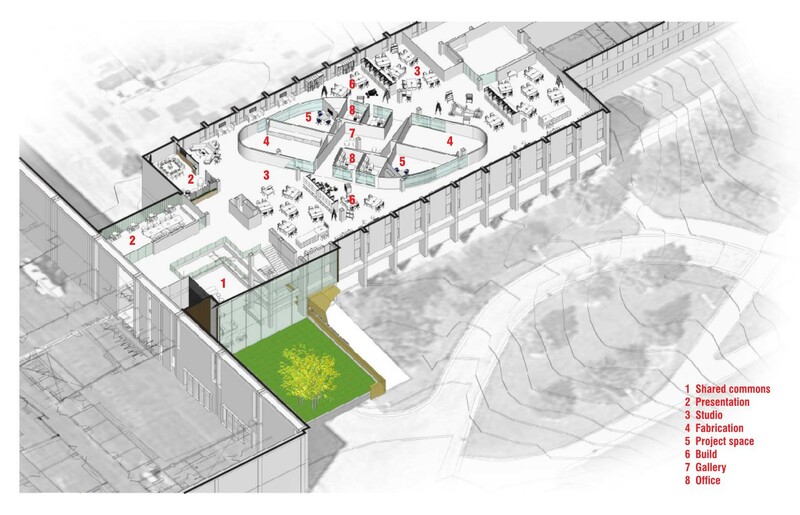 The master plan for the project calls for the substantial renovation of the first and third floors to create open plan environments where classrooms, design studios, and shop spaces are integrated together to promote participation and collaboration between students, faculty, and business partners. 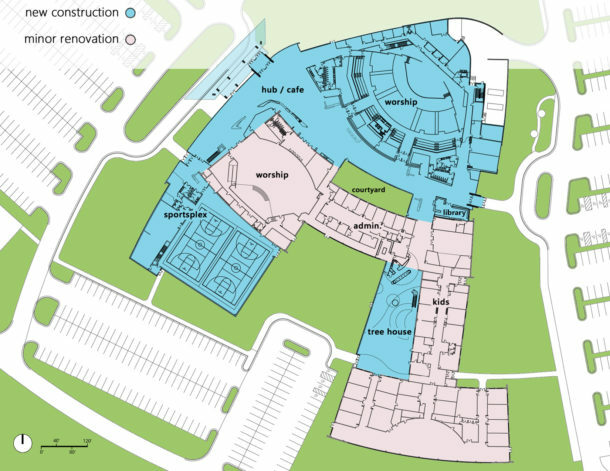 The proposed social commons between the art and product design departments would be a new shared space to further enhance their connection. This will allow for the learning outside the classroom that is crucial to contemporary spaces for education. Advanced manufacturers are looking for a modern workforce that can transition between the manufacturing floor and the design studio, collaborating with technicians, designers, and clients. This flexibility is crucial for today’s competitive workplace, and these are the skills that today’s innovative programs and the learning environments will teach.